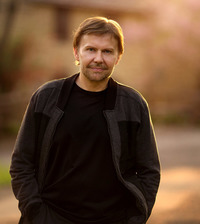 Robert Matzen is the author of eight books, including the bestsellers Mission: Jimmy Stewart and the Fight for Europe and Fireball: Carole Lombard and the Mystery of Flight 3, which won the 2015 ‘Biography of the Year’ Benjamin Franklin Award and earned praise from the Smithsonian Institution. His forthcoming Dutch Girl: Audrey Hepburn and World War II, involved three years of intense research and several trips to the Netherlands, where Audrey spent the war. 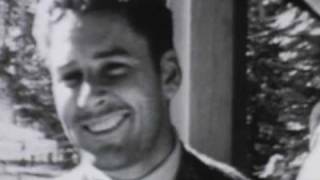 He worked in close consultation with Luca Dotti, Audrey Hepburn's younger son, and with many Dutch citizens who survived the war with Audrey in the town of Velp. Robert has appeared on the BBC, Talk Radio Europe, Radio Russia, and many U.S. television and radio outlets, including NPR. Hi Robert Matzen is the author of eight books, including the bestsellers Mission: Jimmy Stewart and the Fight for Europe and Fireball: Carole Lombard and the Mystery of Flight 3, which won the 2015 ‘Biography of the Year’ Benjamin Franklin Award and earned praise from the Smithsonian Institution. To ask Robert Matzen questions, please sign up. Robert Matzen Mission is hot news, Woody, and we're eager to get the book into readers' hands as fast as possible. Happy Landings! Robert Matzen I don't believe in writer's block. Whenever I feel stuck I simply write; in a couple of paragraphs I'm unstuck. 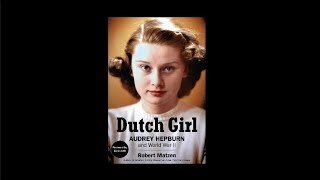 Note: Dutch Girl: Audrey Hepburn and World War II will be released in the United States by GoodKnight Books on April 15 and in Italy by Piemme in June. The Polish (Albatros) and Dutch editions will follow, with others hopefully being announced soon. This is an intimate look at WWII that doesn't look at strategy or politics or campaigns. When Werner goes to the Eastern Front, there's no explanation of what he's walking into--the reader either knows or doesn't know, and if not, OK. It still works. This is an intimate look at WWII that doesn't look at strategy or politics or campaigns. When Werner goes to the Eastern Front, there's no explanation of what he's walking into--the reader either knows or doesn't know, and if not, OK. It still works. We’d love your help. Let us know what’s wrong with this preview of Michael Curtiz by Alan K. Rode. Robert Matzen voted for The Siren and The Specter as Best Horror in the Opening Round of the 2018 Goodreads Choice Awards.
" Thank you, Cathy. I will count you as being there in spirit. "